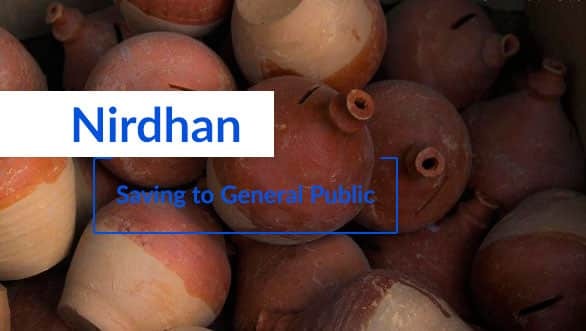 Nirdhan Utthan is providing micro insurance product that address clients’ needs for risk management in addition to its savings and credit products. NULBSL clients are highly vulnerable to economic shocks caused by events such as death of family member, illness, destruction of valuable asset, or a disabling injury. NULBSL provides micro insurance service through partner- agent model linking its clients with formal insurance companies. Livestock Insurance NULBSL has linked up with a local agency (Deposit and Credit Guarantee Corporation) to provide this service. When clients take out a loan for livestock, they pay 2 percent and 1.5% for up to 75 thousands and above 75 thousands respectively, of the value to the agency, and the government matches it with an additional 5% and 4.5% percent payment correspondingly. If the animal dies and it is verified by a veterinary official, the agency pays the 80 percent of the loan. NULBSL provides micro-life insurance to its client and her husband by linking its clients with formal life insurance company, Metlife Alico. The bank acts as agent of insurance company and collects premium and forwards the same to Metlife Alico and death claims are settled by the company through NULBSL accordingly. If the death of insured is due to accident the benefit is double of the above amount.